Frankie does not seem to have improved much, if any, since his vet visit on Friday morning. He started sneezing blood after that visit and that continues. His eye also doesn’t seem much better. In addition, Puck is now having problems with his right eye. We have been putting Frankie’s drops in Puck’s eye too but if it is a viral infection the antibiotic drops won’t do him any good. Rose is going to try to get him back to the vet on Wednesday, a day she works from home, instead of his scheduled visit on Friday, if he does not improve by this afternoon. If that happens, she will use the Friday appointment to bring Floki in for the remainder of his shots. Cats sure can be expensive sometimes. 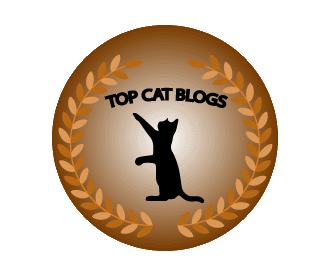 This entry was posted in Uncategorized and tagged blood, cat, contagious, eye infection, Frankie, sneezing, vet on July 18, 2016 by Charles Huss. 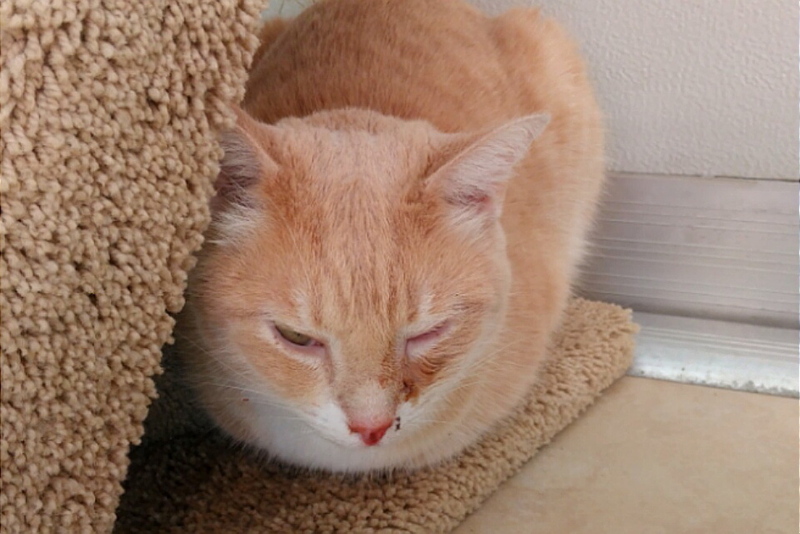 We’re sending lots of purrs to Frankie and hope his eye is better…Puck too. Purrs and prayers going out to Frankie and Puck. We hope they are better soon. Thanks. Hopefully they will get it right. I’m sending lots of purrs to both Frankie and Puck. Sounds like the vet’s remedies did not do anything to help. Thanks. We need all the blessings we can get. Oh no. I hope the vet manages a proper diagnosis and treatment this time. It must be so worrying. I hate it when anything is wrong with the cats, as they can’t tell you how they feel and they don’t understand what’s happening. Fingers crossed for a speedy resolution. Thanks. We will call the vet tomorrow and hopefully they can help. Poor Frankie, I hope he feels better soon. I agree, cats are very expensive. Sending Frankie lots of hugs! POTP to help everybody get better ! Poor cats, wish you get better soon! I’m so sorry. Hoping for better news on your next post, it’s so worrisome when you see them suffering. Prayers coming your way.